The hair's extraction needs a little bit more work, and The clouds look weird>< you could make the grass a bit thicker. 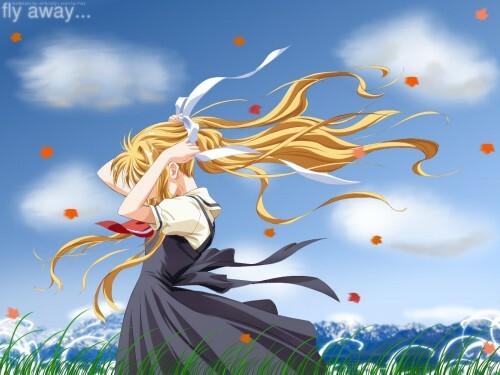 sweet pic of misuzu ! lOooks rili nice ! d text "fly away" goes well wid dis wallpaper ! nice picture ! misuzu always lovely..